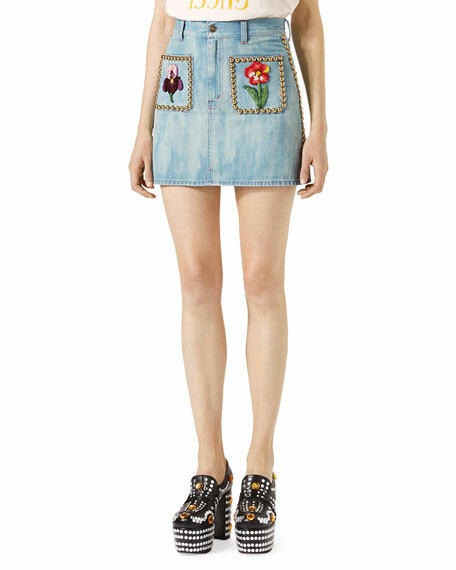 A high-waist mini skirt outlined with metal studs with a cross-stitch style embroidery of flowers on the front pockets. Cross-stitch style embroidered flowers on the front pockets. For in-store inquiries, use sku #2085037.